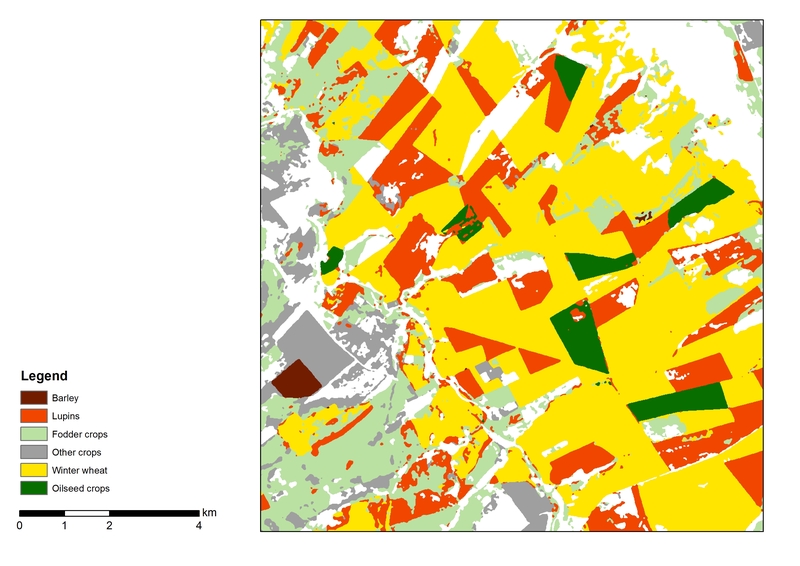 The Crop Type Map product is a map of the main crop types or groups in a given region, with a Minimum Mapping Unit of 0,01 ha and provided along with several quality flags. The top main 5 crop types are considered per region. The main crop types are defined as those covering a minimum area of 5 % of the annual cropland in the region, representing a cumulated area higher than 75 % of the latter. 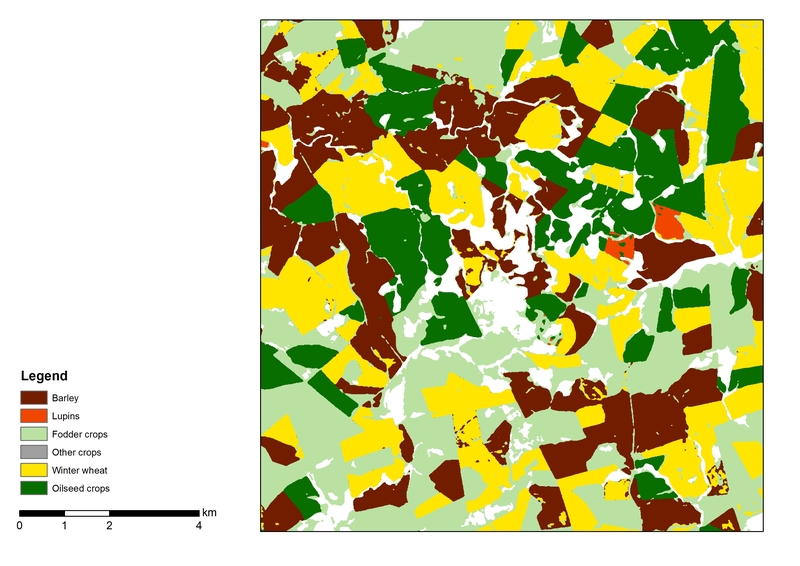 The product is completed by an early Crop Area Indicator, an estimate of the crop type proportion inside a 1 km² pixel, usually derived by a statistically sound approach. More information is available in the corresponding product descriptive datasheet.